Medical Nutrition Therapy (MNT) is an essential component of comprehensive health care that is provided by a Registered Dietitian-Nutritionist (RDN). If you suffer from a medical conditions or illnesses that may have a dietary component, you may be able to improve your health and quality of life by receiving MNT. The Nutrition and Diabetes Education Center (NADEC) combine MNT, exercise and behavior modification with the most up-to-date research, in an effort to provide you with a personalized wellness program. We do not ascribe to “fad diets” and trends, but rather to individualized programs. 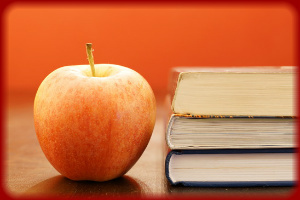 Our goal is to develop sensible nutrition skills that can be adhered to for a lifetime. We provide a variety of services all designed to decrease your risk of disease, manage your weight, increase your energy level and develop healthy lifestyle habits. What Occurs during the counseling sessions? Appointments will last 45-60 minutes. You can benefit from individual counseling no matter what health concerns you may have. We specialize in dealing with multiple medical diagnoses. We will develop one plan to manage all your medical issues. We will keep your primary physician informed of your progress while under our care. We will work with your doctor to assist in fine-tuning your medications, meals and exercise requirements. We can tailor your nutrition plan according to your cultural and ethnic background. Your personal food preference will always be considered when setting goals. Do I need to do anything prior to my initial visit? After you’ve made the decision to start your journey to better health, you will be asked to bring several documents with you that will help our nutritionists during the first meeting with you. Track your food intake using our food journal. This food journal will be used to examine your current eating habits and nutritional intake. You will also need to complete our health nutrition assessment. Although it may take a few minutes to complete, it is critical for your nutritionist to have this information while personalizing your plan. Note: These forms can be retrieved from our forms and resources pagea of this website. If you are ready to get serious and make it happen, you’ve come to the right place. Let us help you make the necessary changes to improve your health and overall wellness. Clearly, it’s time for change! If you are ready to make the changes to get the weight off. Let Sharon assist you in getting the job done! Sharon combines comprehensive nutrition counseling, lifestyle modification and health coaching to get results with weight loss. Sharon believes that weight loss should be addressed on an individual basis. After helping thousands of people, lose thousands of pounds, she realized that the most successful patients had many things in common and things that were unique to their specific situation. Sharon believes the only way to produce true and lasting weight loss, is to address and modify those issues which have contributed the most to the unhealthy lifestyle and ultimately the weight gain. Sharon makes it clear to her patients, that the goal is lifestyle change which will produce long lasting weight loss. Change the way you see food and its role in your overall health and weight. Identify the lifestyle choices which have played the biggest roles in your weight gain. Set short and long-term realistic goals for weight loss. Develop a step-by-step plan to produce life-long changes. Use motivational techniques to empower you to stick to your goals. Use the latest and most scientific recommendation to assist with diet and exercise. Avoid products that guarantee quick fixes and unrealistic promises of weight loss. Develop a fitness plan that is specific to your lifestyle and any physical limitations. Monitor your progress on a regular basis through follow-up visits and tracking of your meals and exercise plan. After meeting your weight loss goals, Sharon will help you develop a maintenance plan to ensure the weight does not return. Patients that have completed our program have experienced anywhere from 10-80 lbs in weight loss without Bariatric Surgery. In addition to weight loss, our patients experience other benefits like reversing diabetes, hypertension and elevated cholesterol. They are elated by how much energy and stamina they now have. If you are ready to make a change and get the weight off for good, come and let Sharon and the experts at the Nutrition and Diabetes Education Center assist you with your weight loss journey. We hope to hear from you soon! The health of your gastrointestinal (GI) tract has a lot to do with your genetics, your present diet, and daily stress levels. 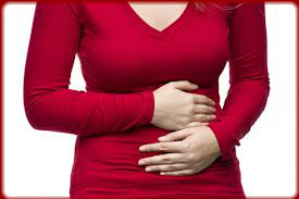 GI abnormalities such as colitis, irritable bowel syndrome, celiac disease, crohn’s disease, or GERD are treated both nutritionally and medically. If you suffer from these diseases a change of diet and lifestyle which also targets your stress level may be just the thing you need. Could These Symptoms Be Related To Diet Or Lifestyle? The health of your gastrointestinal (GI) tract has a lot to do with your genetics, your present diet, and daily stress levels. Many GI abnormalities such as colitis, irritable bowel syndrome, celiac disease, crohn’s disease, GERD, gastritis or colon cancer are treated both nutritionally and medically. If you suffer from any of these diseases or experience any of the symptoms listed above, a change of diet and lifestyle which also targets your stress level may be just the thing you need. We have treated many patients with GI issues over the years who have not received relief from medications and over the counter remedies. Patients have suffered their whole lives from conditions such as constipation and have never associated their diet and lifestyle with their symptoms. Once dietary change and stress reduction techniques were added, in many cases, they started to experience improvements. Call our office to schedule an evaluation of your symptoms and learn strategies which can assist in improving your GI symptoms for good. If you are considering or already had weight loss surgery, you know that adopting a healthy lifestyle is key to your success. Our program is designed to meet the unique needs of bariatric patients, helping to smoothly transition you back to normal eating. We have successfully helped thousands, not only lose excess pounds and maintain optimal weight, but also improve their health and wellbeing. Registered Dietitian-Nutritionists are the experts in developing meal plans for the individual. Our program incorporates the most up to date and complete diet and nutritional supplement recommendations necessary to meet the unique demands of both the pre and post-operative Bariatric surgical patient. Our nutrition experts will work with your bariatric surgeon’s office to ensure we adhere to any specific dietary recommendations which may be unique to their facility. Our goal is to ensure you have the best outcome pre and post surgery. 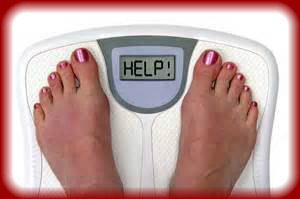 The ultimate goal is to assist you in losing the weight long-term. 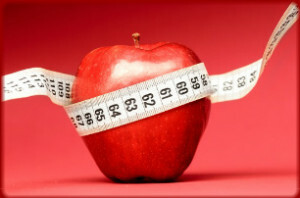 Prior to the surgery we perform a comprehensive nutrition and life style evaluation. You tell us about your present dietary habits, exercise pattern, physical limitations, social support and influences, as well as readiness level to make effective behavioral changes towards improved health. Food allergies, medications, past weight loss attempts, recommendations for diet improvement before surgery, as well as specifics of how to prepare for surgery, are important factors that will be addressed. After the surgery, for best results, a follow up visit is recommended 1- 2 weeks post surgery. In this second visit, a review of your present dietary intake, trouble shooting any problems with digestion, food tolerance, bowel regularity, maximizing weight loss, adequate protein intake and protein shake selection, vitamin supplement tolerance, blood glucose monitoring if diabetic, and progression back to a normal healthy diet is discussed. New menus are provided to assist you with these next nutrition steps. This allows our patients to be very clear about how much, what, and when to eat and drink. We explain why the specific diet transitions are important, allowing our patients to feel confident about their success and stay focused on their progress. Our experts are also equipped to address one of the biggest concerns of bariatric patients, “What do I do if I stop losing weight after surgery?” Allow the Nutrition specialist to assist you in having the best long-term outcome after your surgery!